The claims of the developing countries for more equal participation in existing international economic arrangements have been eclipsed temporarily by global economic recession and the pressures on developing countries to adjust their economies to radically changed circumstances. But negotiations between the industrial countries of the North and the developing countries of the South will remain an important feature of international politics in the years ahead. Careful analysis of the negotiating experience of the 1970s—when the pressures of the South for reform of the international economic system reached their peak in a wide variety of international forums—can help improve the negotiating process itself as well as policy formulation. 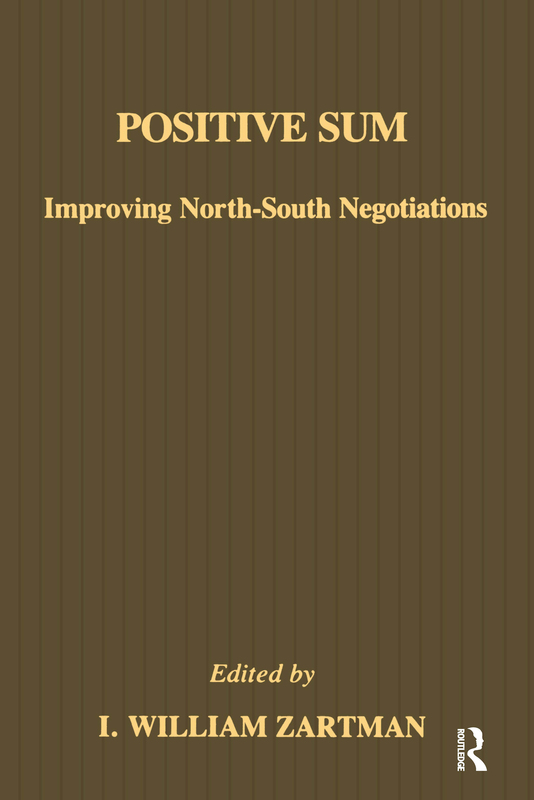 Positive Sum focuses on the relationship of the process of the negotiations of the recent past to their final outcomes. This emphasis differentiates it from the many works on North-South relations that assess results only. The volume presents eight case studies of specific North-South negotiations, prepared as part of a project of the Overseas Development Council in Washington, D.C. The book's emphasis is on pragmatic paths-conflict management, conciliation, cooperation—to mutually satisfactory solutions in asymmetrical situations. In its policy recommendations, the study seeks to move the parties away from sharp divisions between the rich and strong on one side and the poor and relatively weak on the other. Its objective is to identify tactics and procedures that are more likely to deliver "positive sum" (mutually beneficial) rather than "zero-sum" (winner takes all) results. The book offers useful guidelines for negotiators and analysts of future multilateral negotiations. The Wheat Negotiations: Loss or Gain in North-South Relations?